Carson Wentz, North Dakota State: While he may not be the next “Elway” or “Andrew Luck,” Wentz does back up some of the hype with a solid combine performance. Forget measurable and numbers, (which he did fare well) Wentz looked more comfortable during the passing drills than any quarterback at the combine. Solid footwork combined with adequate accuracy on deep and short routes might have solidified Wentz status as the best quarterback in this class. Jared Goff, Cal: Just like how Carson Wentz stood out among fellow quarterbacks at the Senior Bowl, Goff stood out among the first group of quarterbacks throwing at the combine. For a player who played mostly in the shotgun throughout his college career, it was surprising to see how smooth and solid Goff looked in his drop backs, whether they were three-step or even seven-step. Combine that wit the pop, velocity and accuracy exhibited on each of his throws, and this makes Goff equally as compelling as Carson Wentz for the top quarterback in the draft. Dak Prescott, Mississippi State: Prescott has seen has draft stock rise after impressive showing at the Senior Bowl and should continue to see it rise after another impressive performance in front of scouts. Are his mechanics the best? No, but each time I watch Prescott, I see considerable improvements in his footwork and mechanics. This shows and proves that Prescott is a hard-worker, eager enough to put the diligent time and effort to improve the flaws in his game. He is not a perfect quarterback, but the improvements I have seen out of him in the past weeks might put him in the conversations of being a 2nd or 3rd round pick. 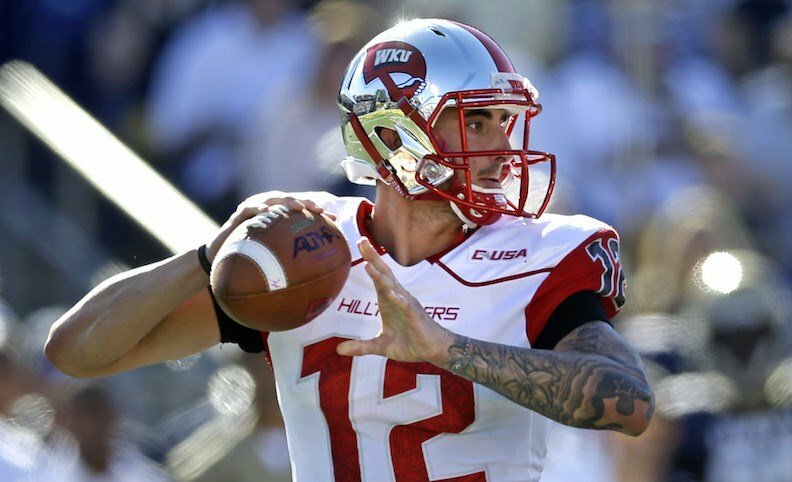 Brandon Doughty, Western Kentucky: Playing in a spread offense in which he threw 111 touchdown passes, many have doubted how Doughty’s game will transition to the next level. While some consider him to be a late-round value, maybe undrafted, Doughty’s combine performance should get him some recognition. Like Goff, Doughty played mostly in the shotgun throughout college, and obviously had to learn the concepts of 3-steps, 5-steps and 7-step drops. While his footwork wasn’t as polished as Goff’s, he still seemed very planted and coordinated on many of his throws, and displayed impressive deep ball accuracy. 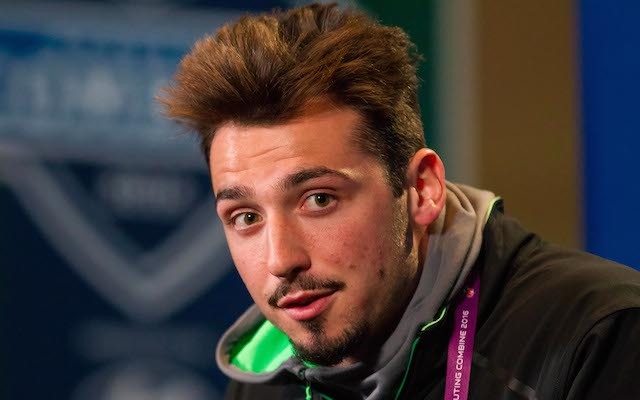 Paxton Lynch, Memphis: While his draft stock won’t necessarily drop after his combine performance, he didn’t exactly impress me as much as other top prospects such as Jared Goff and Carson Wentz. Don’t get me wrong, Lynch has better than average arm strength and is a tremendous athlete. But his unpolished footwork and scattershot accuracy, especially on the deep ball, indicated that Lynch is a raw prospect who needs some to simmer and learn the game before he is ready to truly contribute to any team that drafts him. 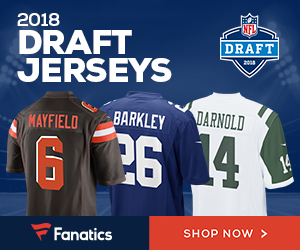 Cardale Jones, Ohio State: Cardale Jones has an absolute cannon of an arm, Cam Newton-like mobility, and could have been the top quarterback of the draft. However, his struggles with accuracy and mind-lapses with decision making eventually led to his benching and 2016. The combine was a perfect opportunity to redeem himself and prove to scouts and GM’s as to why he has the most potential of any quarterback in the 2016 draft. Instead, his day ended prematurely when he pulled his hamstring during the 40 yard dash. His last audition will be the Ohio State pro day on March 11. 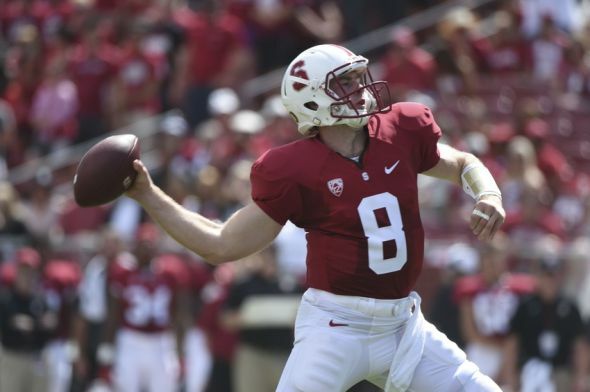 Kevin Hogan, Stanford: Hogan received praise for his improved play in 2015, and gained some steam heading to the combine as a day 3 pick. However, Hogan’s draft stock will likely drop after a sub-par performance at the combine in which he missed on several routine throws. And don’t get me started on his mechanics, which were by far the worst of all the quarterbacks at the combine. Be the first to comment on "NFL Combine Quarterbacks: Winners and Losers"